superHYPERCUBE, from Kokoromi, is a game about holes, and cubes that love them. It explores the vast, mostly unexplored TRON-like tundra of stereoscopy and head tracking in games. Originally produced for GAMMA 3D in Montreal, superHYPERCUBE is a public installation that literally takes the classic game Tetris into the third dimension as you try to rotate increasingly complex cube constellations to fit into a series of rectilinear holes. 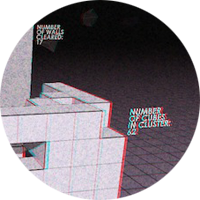 Presented as an art game, SuperHYPERCUBE’s well-designed 3D mechanics are leveraged to create unique and inventive puzzles on par with mainstream games in the genre. This Kinect Hack version was prepared as a TAG / PLAYPR / Kokoromi / Polytron collaboration for Indiecade 2011. The game was an indiecade finalist.